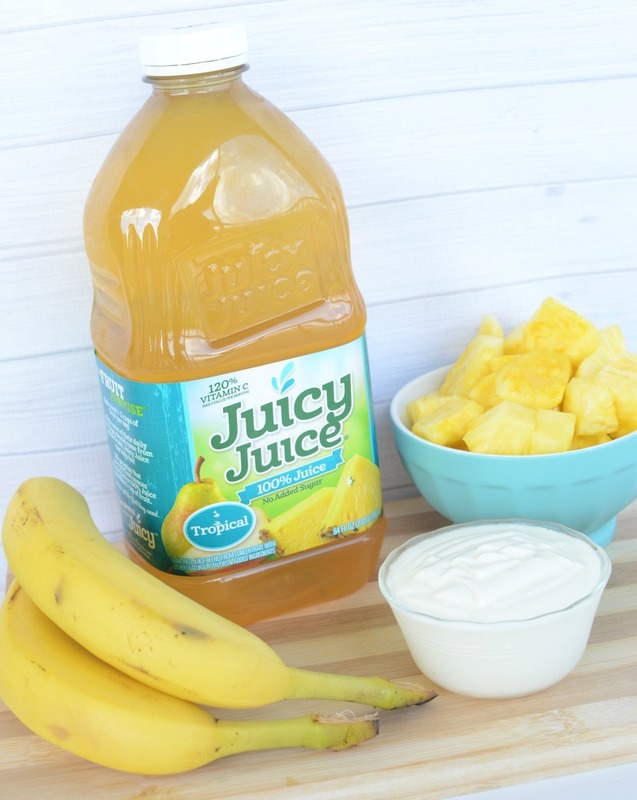 Thank you to Juicy Juice for partnering with us to bring these delicious breakfast smoothie recipes to help busy families on crazy school day mornings. Recipes and opinions are 100% our own. You jump out of bed and race down the hall, banging on doors and screaming children’s names. Blurry eyed little ones slowly emerge from the cocoon of their cozy dream filled slumber, but the older kids mumble unkind words while pulling the covers over their heads. Welcome to the frenzy of most families on school mornings. Now, what’s for breakfast? The struggle is real when it comes to feeding a family, especially on weekday mornings when everyone is rushing in twelve different directions, often trying to get out the door before the sun is even up. We’re always looking for short-cuts, but one of them definitely shouldn’t be skipping breakfast. Typically, our younger ones will demand something for their tummies in the morning, but our tweens and teens are often more than willing to swap eating for an extra few minutes of shut-eye or time in front of the mirror. It’s not uncommon for 20-30% of tweens and teens to have given up breakfast entirely. Unfortunately, not only are the teen years a time when kids really need that extra energy due to their overpacked schedules, filled with homework and extra-curricular activities, missing their morning meal can also contribute to binge eating and obesity. 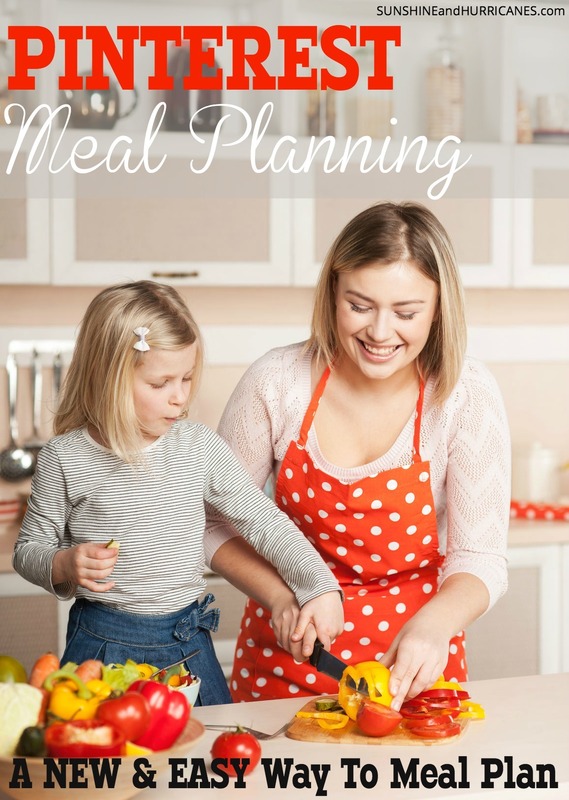 While you may not be able to get them to sit down at the table for a bowl of cereal or eggs in the morning, you will have more success if you hand them a tasty smoothie to go as they head out the door. Using just a few ingredients, you can have these smoothie recipes ready in a matter of minutes. 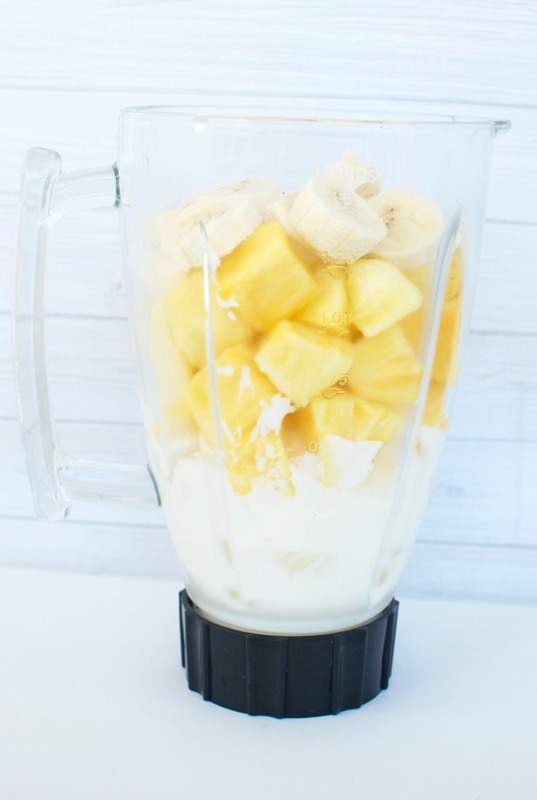 We’ve got two different smoothie recipes for you to try, and we’re certain both will make back to school breakfast a breeze this year! 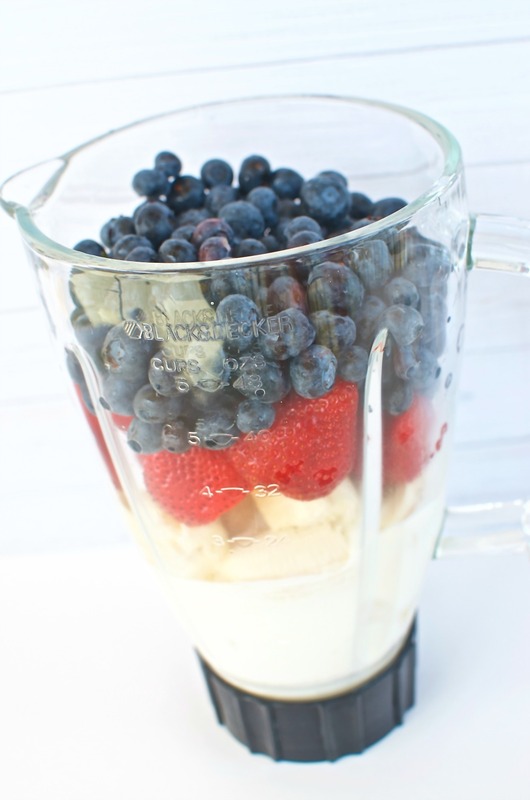 Add all the ingredients to your blender and blend on medium for about 60 -90 seconds until smooth. 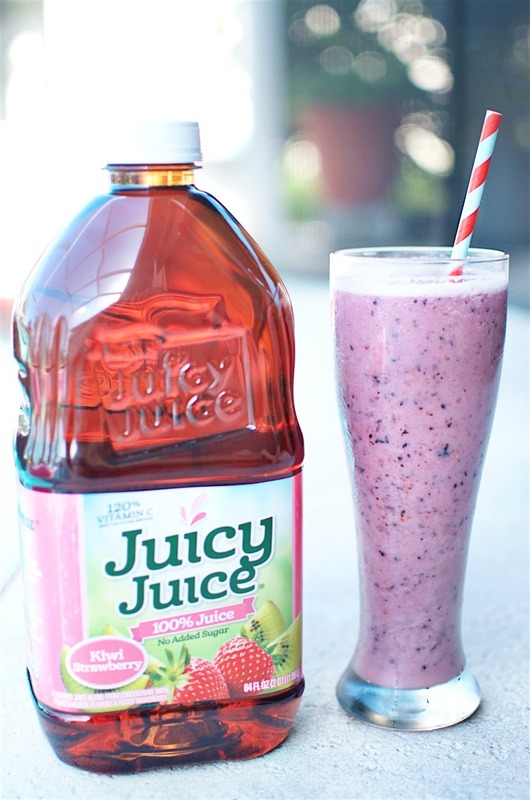 Juicy Juice was fun to use in these smoothies, because I remember drinking it when I was a kid. So, there’s always a little nostalgia for me. In addition, they have 16 flavors to choose from, which means you could follow our recipes or create a few of your own. Juicy Juice is 100% fruit juice with no added sugars, and with 120% of Vitamin C in each 8 oz serving, it gives kids a little extra fighting power against all those back to school germs out there. 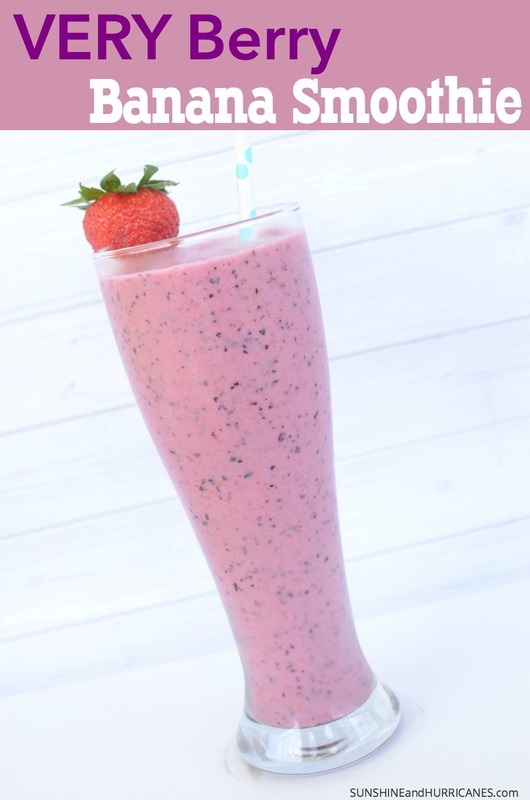 These smoothie recipes would work well for your busy tween or teen on the go and would be fun to take with them in their very own sparkle tumblers they made. 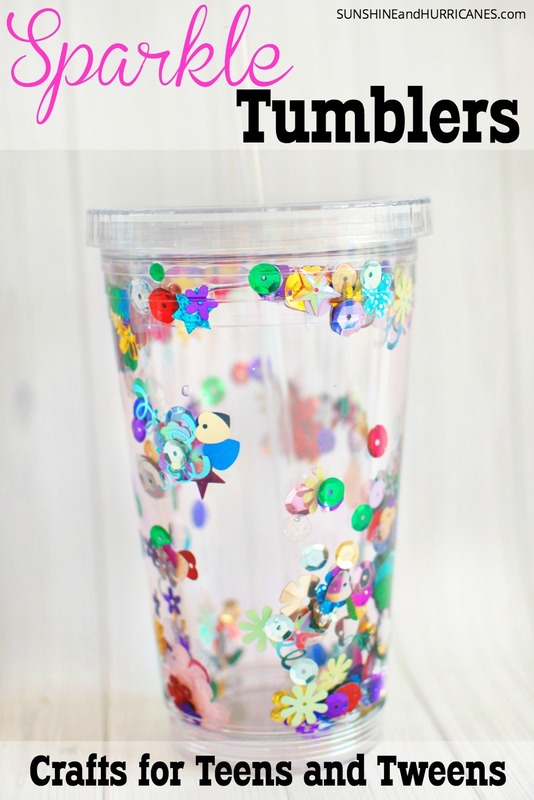 Check out our post for this fun and easy tween/teen DIY activity. 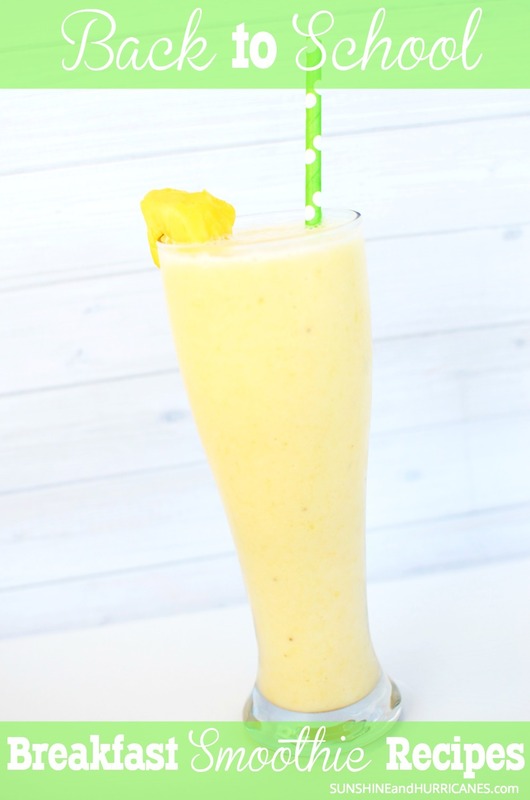 What are some of your family’s favorite smoothie recipes? I really don’t like yogurt. Is there a substitute? There are all sorts of yogurt alternatives these days made with almond or coconut milk that you might prefer. You could also use frozen bananas or protein powder.